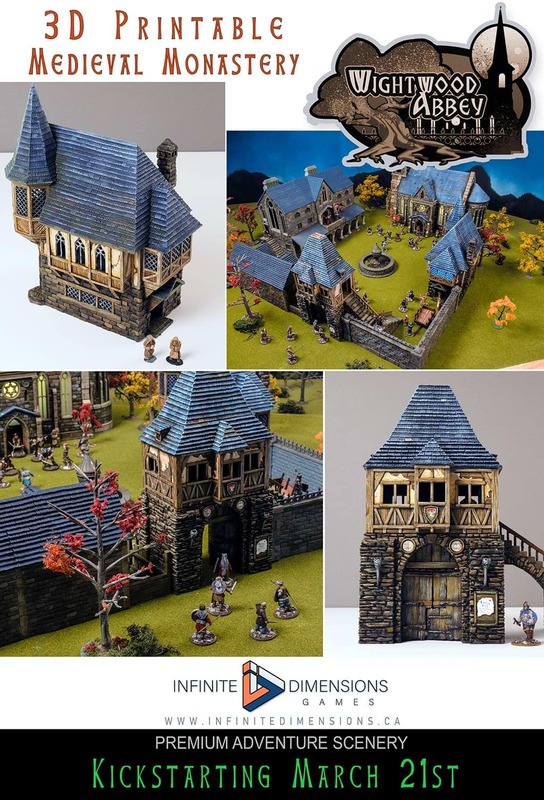 Canadian company Infinite Dimensions Games, launched in the fall of 2017, and founded by two dear friends James Binnie and Dawa Fruitman, recently launched their Kickstarter campaign to raise funds for their professionally sculpted set of 3D printable terrain called ‘Wightwood Abbey’. It will serve as the terrain for tabletop roleplaying games like Dungeons and Dragons. Historically, tabletop games have often used scaled terrains for creating an immersive experience for the gamers. Previously, it was done by traditional methods of manufacturing like wood-working or by injection moulding but now with the introduction of 3D printing, the scenario is shifting. 3D printing not only provides substantial cost advantages but it also helps customise the size, the materials and even creates coloured objects. These benefits easily outweigh the traditional methods. Numerous hobbyists are trying to incorporate 3D printers into their workflow and Infinite Dimensions Games (IDG) too wants to join the joy ride. The thought is perfectly matched by the expertise IDG holds through its artistic director Dawa Fruitman, who has more than 20 years of professional modelling experience and James Binnie who brings a wealth entrepreneurial expertise and a passion for the tabletop games, being an avid gamer himself. Infinite Dimensions Games is currently working on ‘Wightwood Abbey’ project. 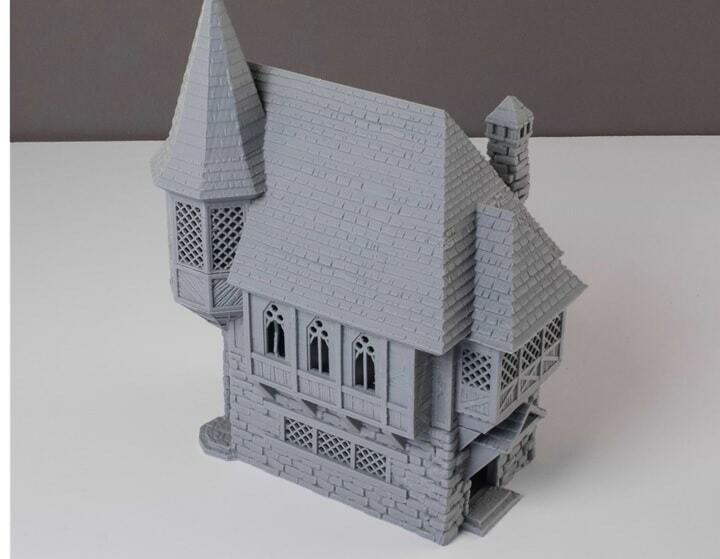 It is a medieval monastery and can be easily downloaded and printed on any entry-level 3D printer. Their kickstarter campaign has received a good opening response. All backers of their campaign will receive the required CAD files to print the models. Backers can get the models printed at their end and assemble and use the prints for any existing tabletop game. Both the founders stress on the point that designing a terrain is really complicated. To incorporate the unique demands of the gamers and matching them with the need of the game all the while making sure that the terrain is aesthetically appealing is quite a difficult task even for professionally experienced modellers. However, the founders assure that they make an extra effort to design a terrain that is not only aesthetically appealing but also provide superior gaming functionality. The printed pieces of the terrain should dismantle in a certain way to allow for quick and easy removal of set pieces and assembly of the same piece elsewhere in the game so that the game is not hindered and hampered in any way. So, if the game has a building then the model must allow for removal of each of the floors to reveal the interior which is important for the theme of the game. All such arrangements have to be made understanding the scale of the model so that the players can access the entire model with ease and are able to cover all the area of the game. Additionally, the entire model should be visible from all directions and any structure should not obstruct the view for the gamers. 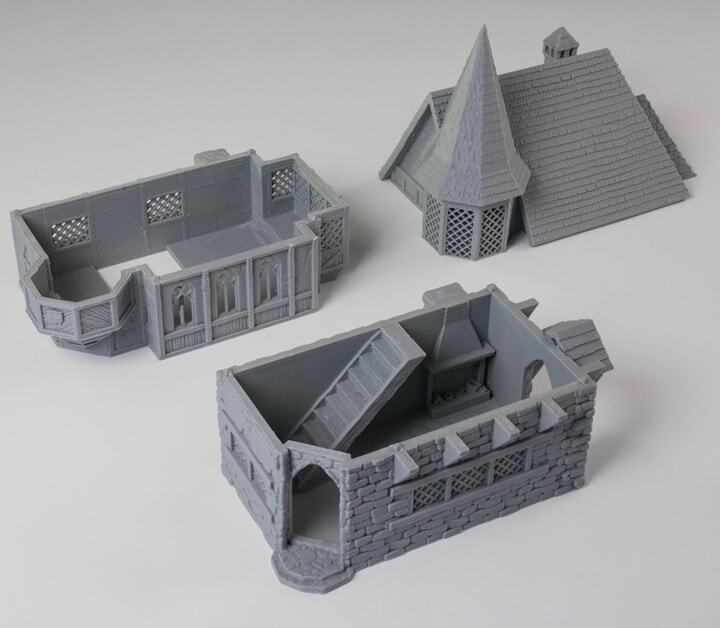 The company plans to create many more such 3D printable models but a lot will depend on the success of Wightwood Abbey, as it will help in funding their future projects and build a large library of beautiful and functional pieces for tabletop gamers. Infinite Dimensions Games plans to sell their models on their website once the funding goal has been met on Kickstarter. You can visit the Kickstarter campaign at https://tinyurl.com/ycol5c76 and contribute towards its success. About Manufactur3D Magazine: Manufactur3D is the first online 3D printing magazine in India. We offer 3D printing news in India, analysis and insights from the 3D printing world. Check out our Global News page for more news from around the world.